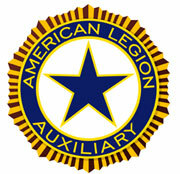 Founded in 1919, the American Legion Auxiliary is the Worlds Largest Women's patriotic service organization. With a membership of nearly 800,000, local American Legion Auxiliary units have a strong presence in more than 9,000 communities nationwide. The American Legion Auxiliary's mission is to support The American Legion and to honor the sacrifice of those who serve by enhancing the lives of our veterans, military, and their families, both at home and abroad. A: If you are a direct decendent or wife of a veteran who served on active duty during one of the membership eligibility dates and is a member of The American Legion, you may join the American Legion Auxiliary of The American Legion. Contact your local American Legion Auxiliary Unit, complete the application and proudly join the AMERICAN LEGION AUXILIARY. phone 630 ___-____ and leave a message for the Auxiliary or email ________ for more details. Click on for http://www.alaforveerans.org for online details.